Dan the Pixar Fan: Toy Story & Cars 3 Apple iOS Sticker Packs NOW AVAILABLE! 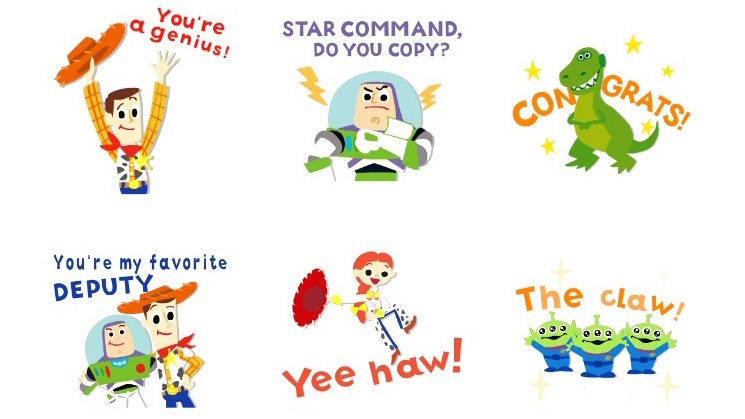 Toy Story & Cars 3 Apple iOS Sticker Packs NOW AVAILABLE! 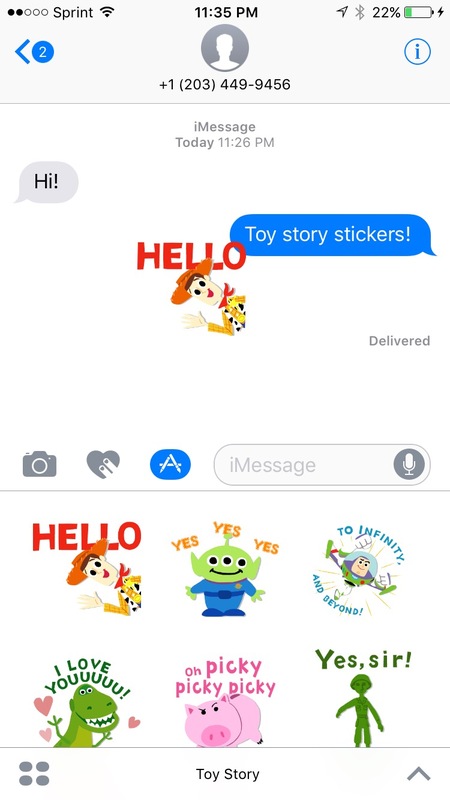 For all you Apple users and Pixar fans out there, you'll be thrilled to hear that TWO new sets of Disney iOS digital stickers for iMessage have been released within this past week— this time featuring Toy Story and, just in time for its theatrical release, Cars 3! If you haven't downloaded "sticker packs" before, they're absolutely adorable and I can't recommend them enough. They're animated, colorful and perfectly stylized...just an all around fun way to add a little excitement and Disney magic to everyday chats! I believe there's always a place for a Disney·Pixar quote/reference, no matter what kind conversation you're having. :) These will be heavily used, I'm sure. As shown in the screen shots above, all you have to do is drag and drop any sticker into any iMessage conversation and let the fun ensue. You can even resize/rotate them (using two fingers in the classic touch screen manner), stack them and place them on photos within the thread. Each pack includes 21 stickers and costs $1.99. Take a look at all the stickers from both the Toy Story and Cars 3 packs in my screen shots below! What are your favorites?? 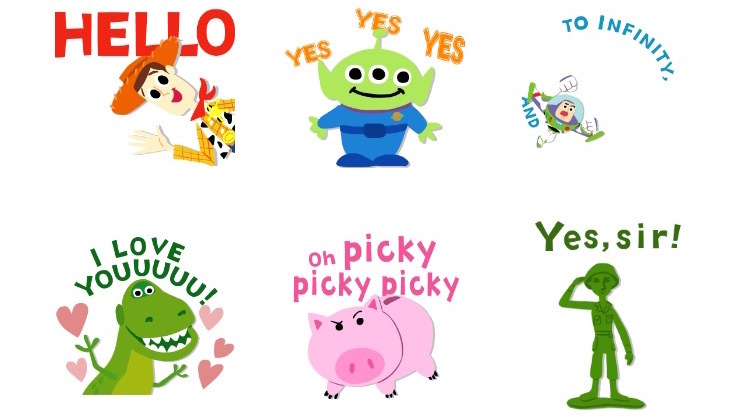 If you love these, then you'll love the other previously released IOS Disney·Pixar sticker sets such as Finding Dory, Monsters Inc. and Inside Out. Download any of them in the Apple app store today! Look for my video review right here this weekend to see them all in action.